DESCRIPTION: Aluminum Roofing Nails are made from high tensile aluminum alloy and are made from high tensile aluminum alloy and are the best choice for nailing aluminum roofs or aluminum siding. 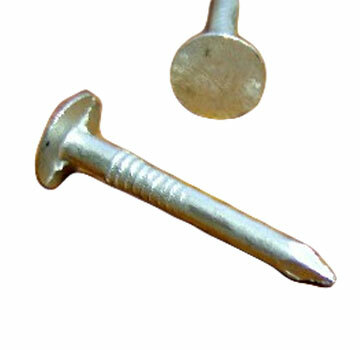 All of our Aluminum Roofing Nails have a 7/16" diameter head and smooth shank (with barbs). Ring shank is also available.